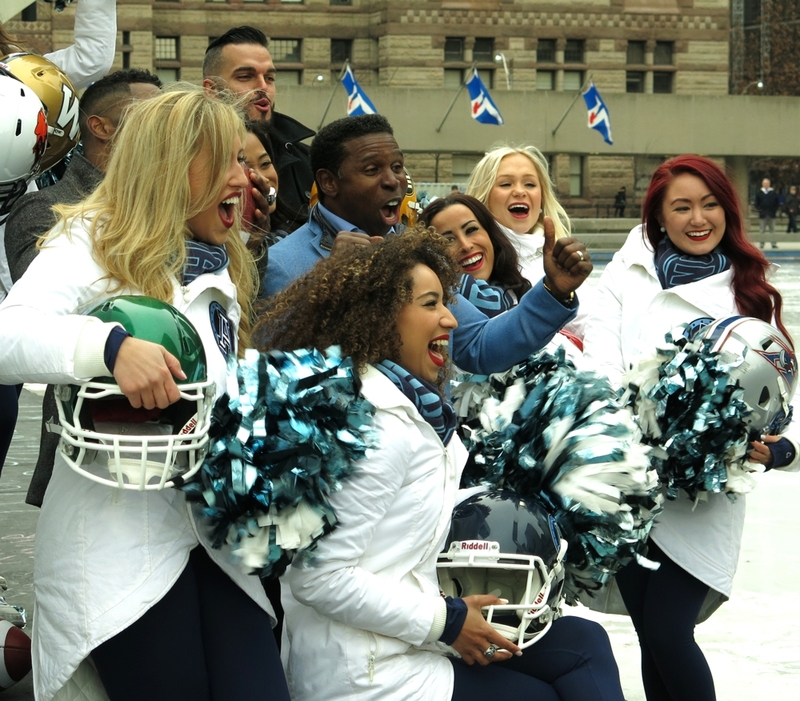 Vice-Chair of the CFL Toronto Argonaut football team, former record setting player and Head Coach, all around great guy, Pinball was down at City Hall to film a promotion for the team and he brought some players and the lovely Argo Cheerleaders. "In the rich 138-year history of the Toronto Argonauts, there are many football heroes who have brought pride to the city of Toronto and the Double Blue but it is difficult to find a more popular name in team history than Michael Clemons. 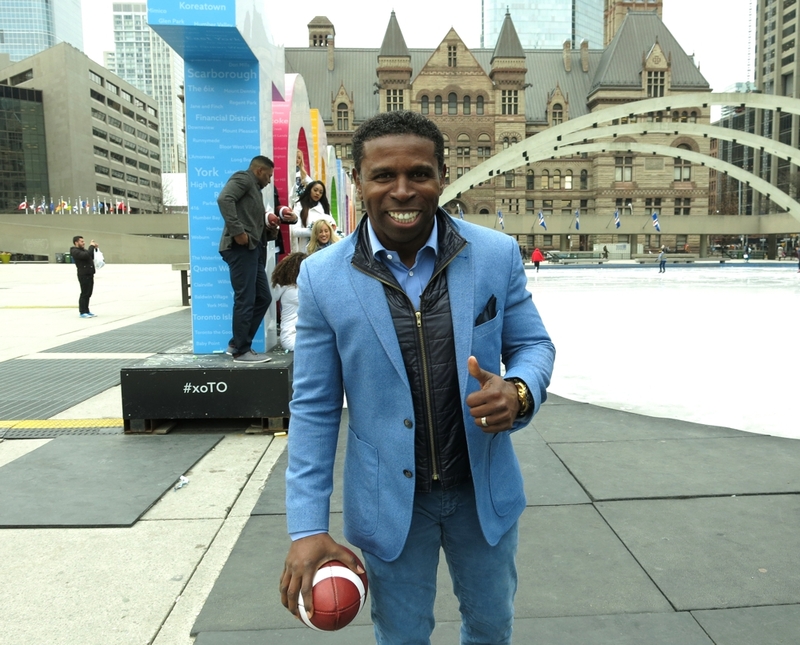 Born and raised in Florida, the William and Mary economics graduate began his career in the CFL in 1989 after a brief stint in the National Football League. 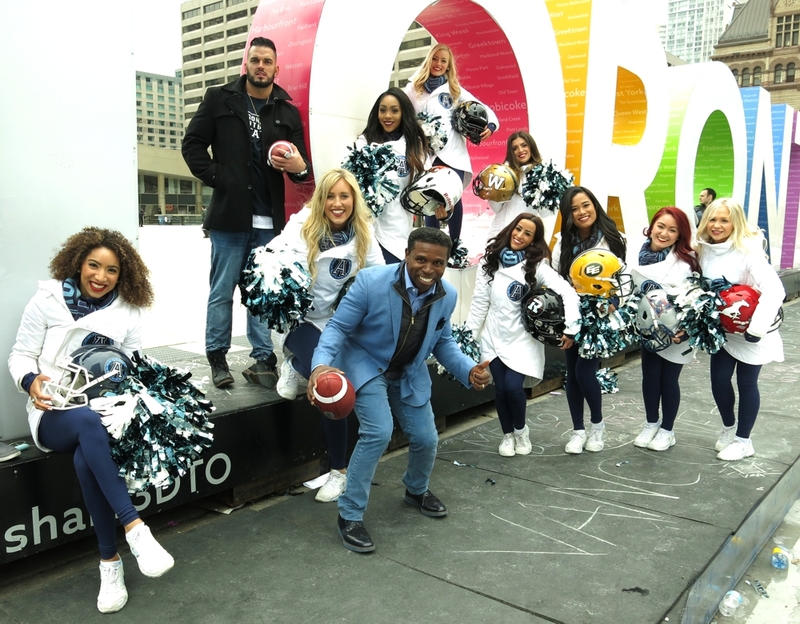 As a player, Clemons compiled a brilliant CFL career with the Toronto Argonauts, including a pro-football record for most career combined yards with 25,396. 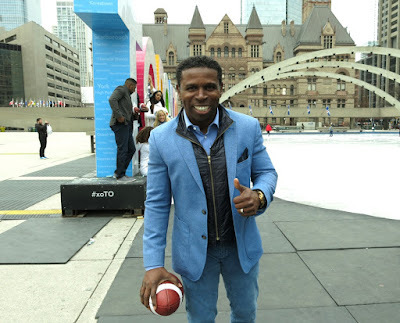 On September 15, 2000, Pinball hung up his Double Blue jersey after 12 brilliant seasons to move directly into the position of Head Coach. He retired with 12 all-time team records to his credit, including career receptions (682)."